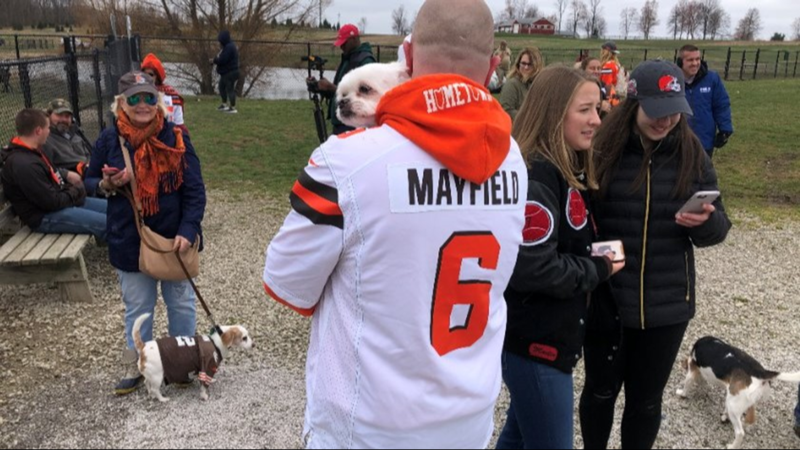 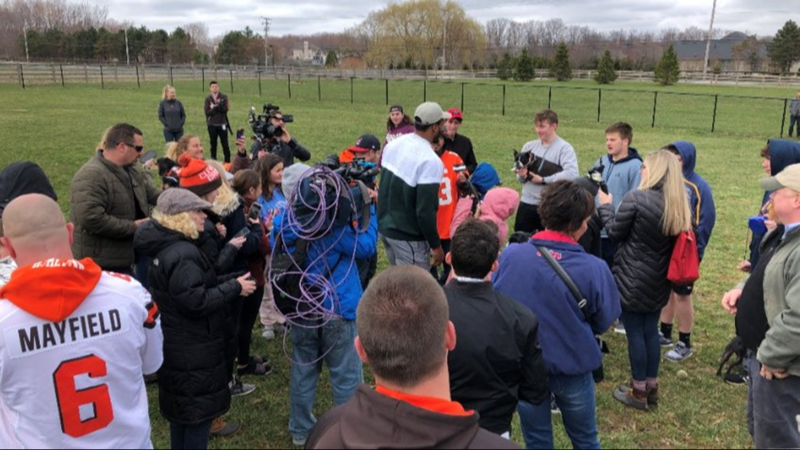 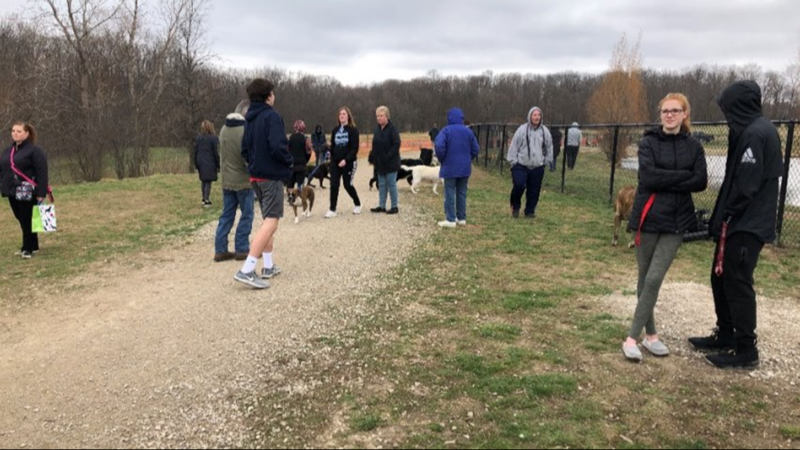 The Dawg Pound took over the Lake Metroparks dog park today. 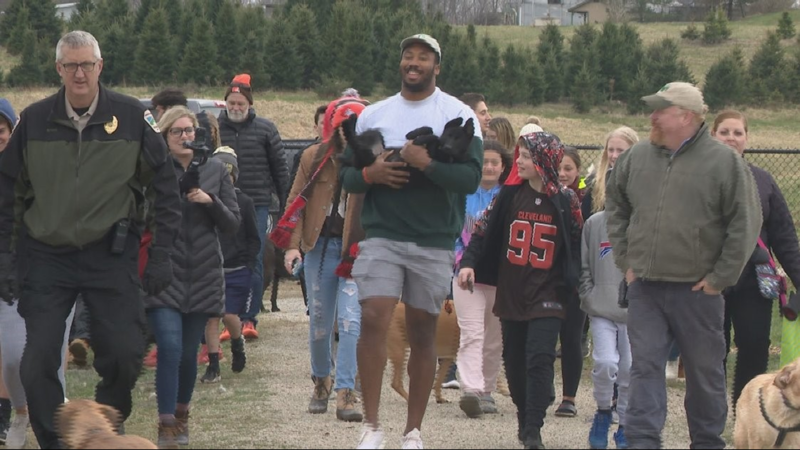 Garrett adopted a puppy he named Gohan last month. 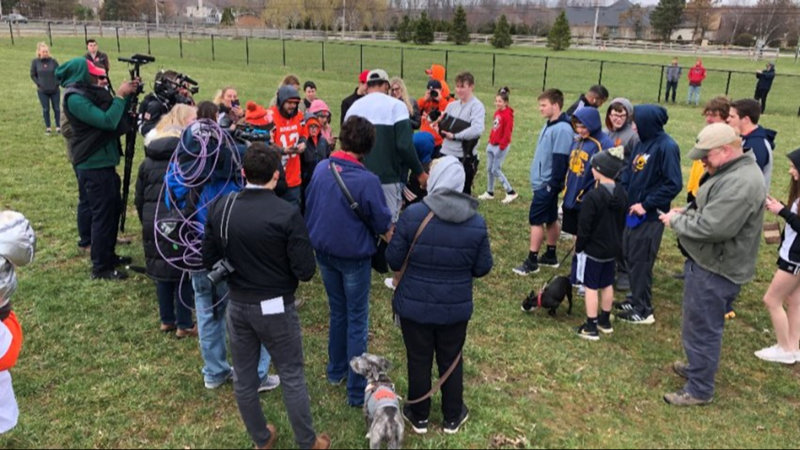 Last week, he tweeted that he wanted to set a "doggie play date" for Gohan to meet with fans and fellow pups. 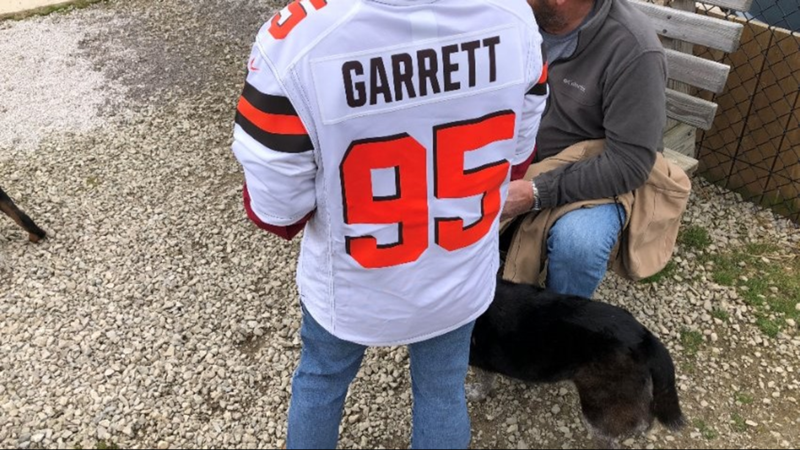 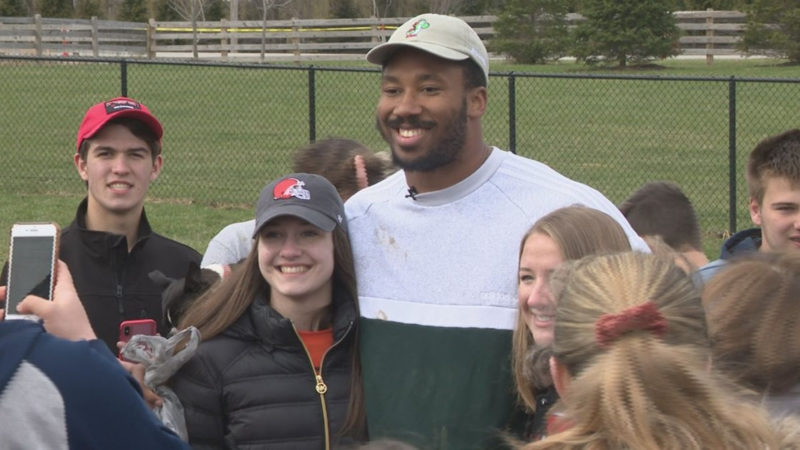 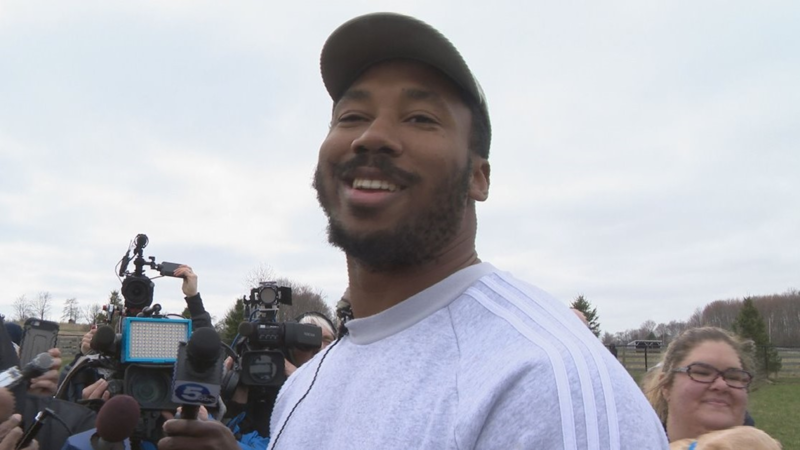 Garrett set the date for Wednesday, reminding fans that he won't be signing autographs and that their pets had better be up-to-date on their shots. 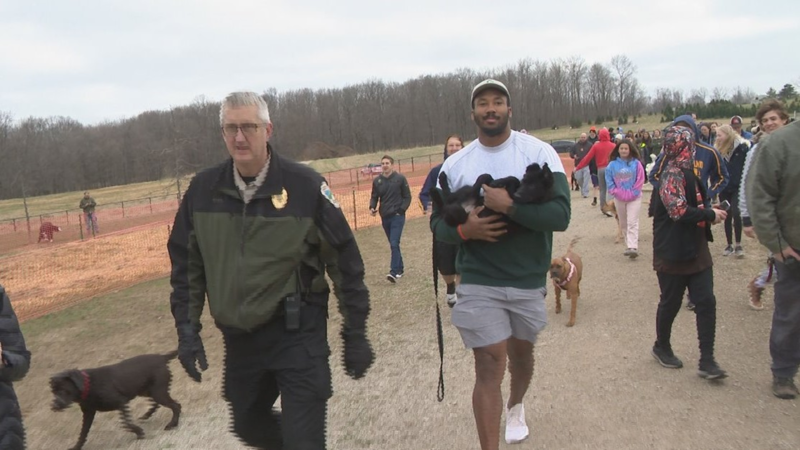 "I would never harm your animal but if you give my pup parvo I will snap you in half," he tweeted. 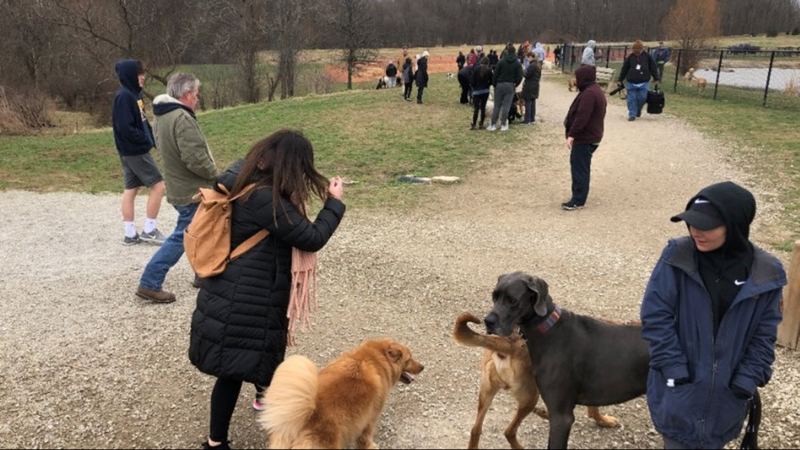 Garrett was apparently a little late in arriving to the dog park because someone had an accident in the car, according to another tweet.